The Cavaliers are set to host Milwaukee on Friday. 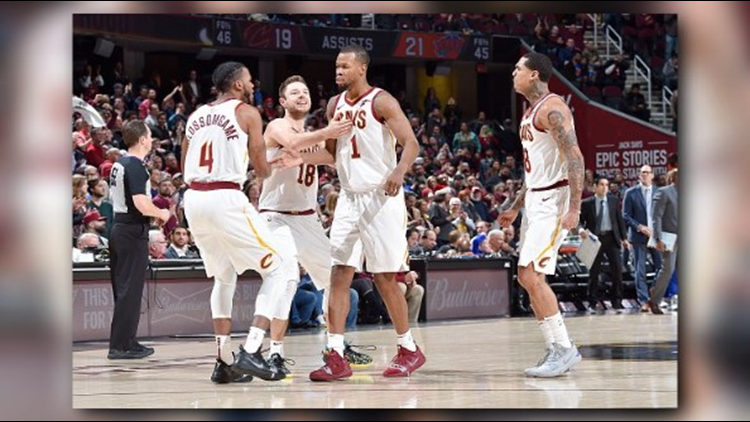 CLEVELAND (AP) - Jordan Clarkson scored 28 points and a basket by Rodney Hood in the fourth quarter gave Cleveland a late lead as the Cavaliers defeated the New York Knicks 113-106 on Wednesday after squandering a 22-point lead. Cavaliers will host Milwaukee on Friday.